This week’s TTT is a Valentine freebie! I’ve picked some of my favorite literary couples. And I thought I had ten, but it turns out I chose eleven. Bonus for you! 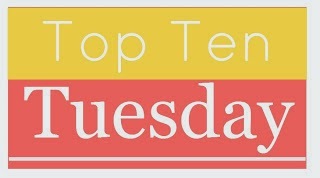 Top Ten Eleven Favorite Literary Couples. Some of these couples appear in a series, but I just picked one book to feature. It’s either my favorite or the first in the series. For different reasons, these lovely couples never really had the chance to make it work. Nothing is sweeter than your first love. While not a traditional Valentine couple, these mysteries would fall flat without their partnerships. Never Going to Happen – But I Can Keep Hoping. This one is a bonus couple. While the TV show is based on the books, one of these characters is actually exclusive to the show. That was a fun Top Ten! What about you – who are your favorite literary couples? And if you did a TTT this week, what was your topic? Link up in the comments below! ← TTT: ‘Til Death Do Us Part. Oh I like how you broke it up!! Love Rosie and Don and Hazle and Gus! Great list!! Hoping for ships to become canon is probably some of the most “fun”? aspects of following any media (film or book inclusive). SO YOU KEEP HOPING FOR YOUR SHERLOCK COUPLE TO BECOME A THING. Sherlolly! Great list! I loved the doomed couples. Need to read those books. Cool graphics too! Great list! I love Maisie and her interactions with Billy (I’ve only read the 1st book in the series, but I’m looking forward to more!). Jake and Sadie break my heart. I love that book. Nice graphics! Great list! I love how you broke it up. I love Georgie and Darcy in the Rhys Bown series and I love Molly and Sherlock too though while I love them together I’m not sure I’d wish putting up with Sherlock on Molly! I love Percy and Annabeth!